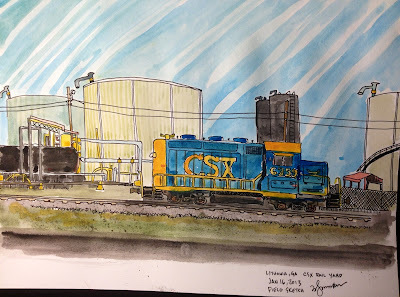 A field sketch of the CSX rail yard in Lithonia, Georgia. Trying out some new paper. 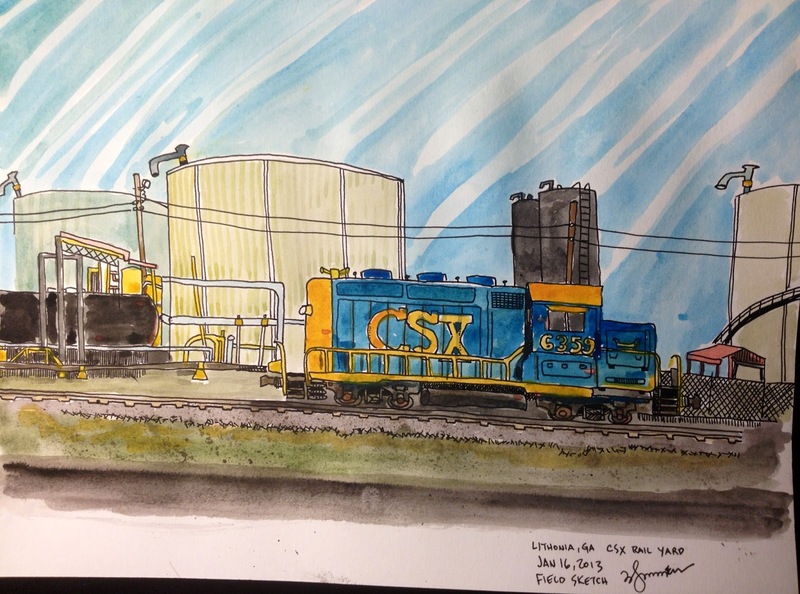 I recognized this as Lithonia from a thumb nail size picture, nice job. I model this exact scene and now have this image framed on the wall in my basement.